A 30X40 building works perfectly in many settings, whether your purpose is residential or commercial. The 30’-wide building configuration provides a great space which suits the needs of many mom-and-pop businesses. 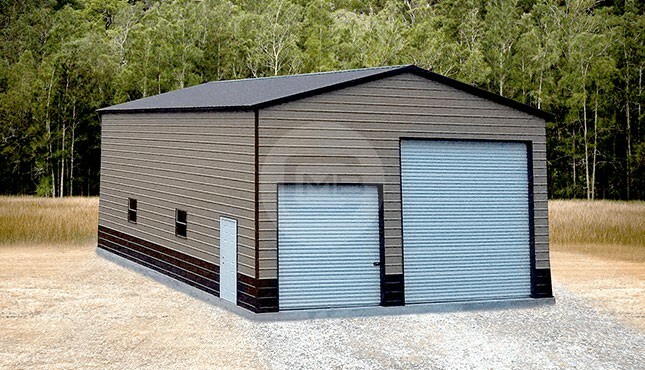 We are one of the largest metal building suppliers in the country. 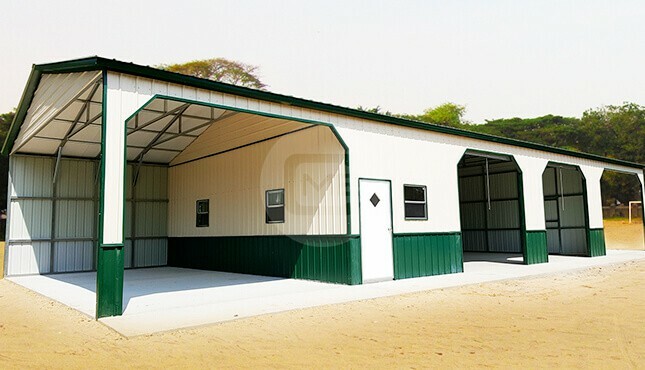 We are capable of producing buildings for your exact needs, whatever your purpose. 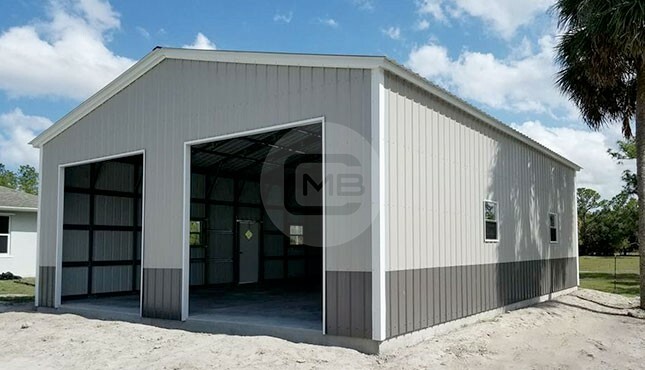 Although we can deliver any size of small building, there are some configurations that work very well and have proven advantages over other configurations. Some of our customers have cleverly used this extra space as a personal gymnasium where they can exercise with their buddies. We have also witnessed some innovative uses of this space as a hobby area, man cave, or a she shed. Beautiful interior decoration along with climate control could enable you to turn this little nook into something chic and decorative with creative lights, a day bed, TV, and book racks. A perfect place to unwind after a long day at work! We know that a 30’ by 40’ building may sound too small for running a small business. However, you might be surprised to learn that many of the retail food chain outlets have even less space than this. 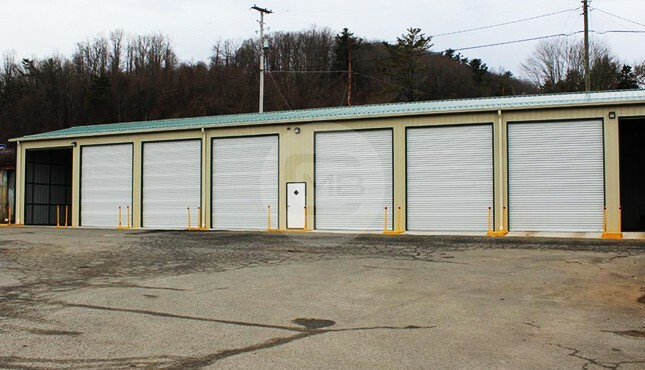 This metal building gives you 1200 square feet of space, which is more than sufficient for an insurance agency, real estate agency, or even a lawyer’s home office. One interesting fact about steel is that, unlike wood, it is noncombustible in regular fire events. 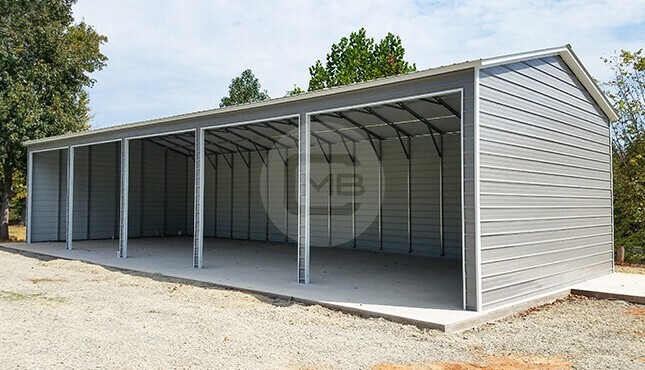 This in turn means that any business which houses flammable material can protect their inventory much better with a metal building as compared to a wooden building or a pole barn building. 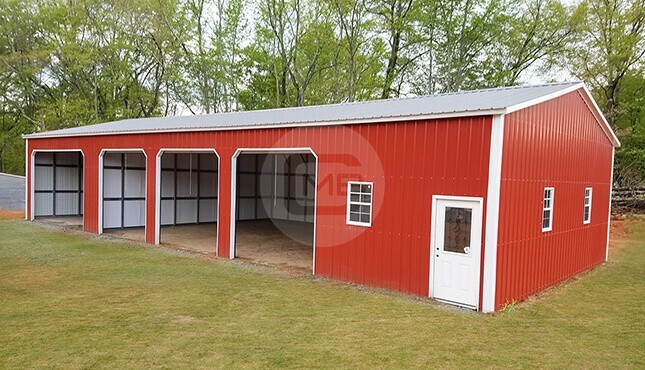 In need of a small barn or hay shed? 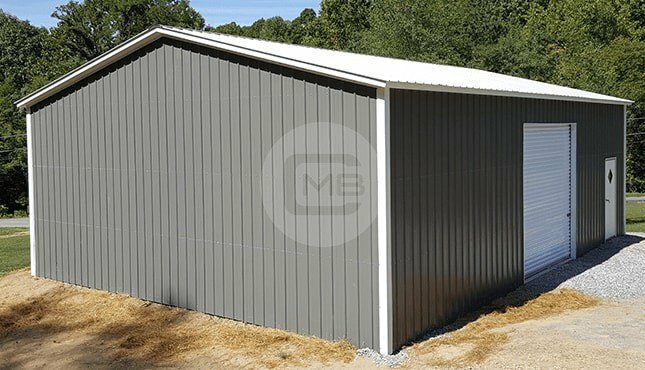 Well, our 30’ x 40’ metal building works perfectly for farmers and ranchers who need to stack hay or safely house their produce. 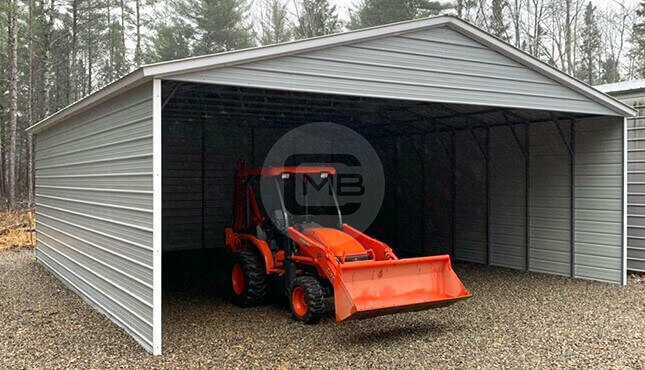 Since we can make the building up to 20 feet tall, you can choose to invest in a truly smart storage solution for your agricultural needs with this metal building. 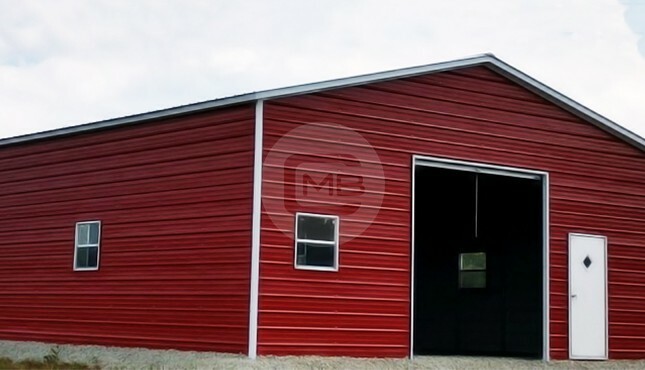 Our agricultural customers have also created some beautiful barns by attaching lean-tos to this building. For example, we can attach a 12-foot-wide lean-to to this building which you can then use to keep your horses, cattle, or farm equipment safe. 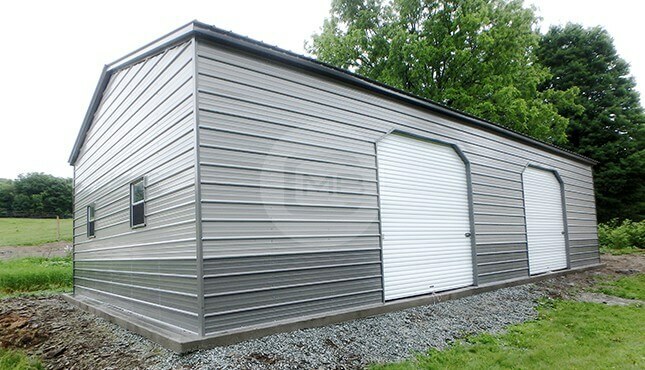 Remember that when it comes to our metal buildings, you’re only limited by your imagination! If you have any questions, or if you already know what you need, please don’t hesitate to give us a call at: +1 (980) 365-8481.